Now that also leads us to another example – white potatoes (which by the way, can also be found in red, yellow, purple varieties, etc). Many health professionals claim that potatoes are a bad carbohydrate because they are thought to have a high glycemic index. 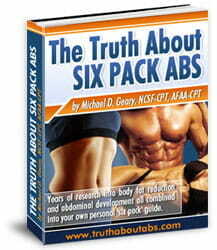 First of all, if you’ve read my Truth about Six Pack Abs book, then you understand that glycemic index is not necessarily the most important factor in choosing your carbohydrates. Related WHAT ARE YOU FEEDING YOUR SKIN? While a generalization can be made that most low glycemic index carbohydrate choices will help you lose body fat easier than high glycemic index choices, it is not all that it’s cracked up to be. There are many other factors that determine how your body will react-to and process the carbohydrates you ingest, such as glycemic load and also how you combine the high GI food with other foods. Not to mention that watermelon is also a great source of vitamins, minerals, and lycopene. There’s just no reason to avoid it simply because it has a high GI. My point is… candy bars, cupcakes, and donuts make you fat… NOT watermelons, carrots or potatoes. Alright, so back to my point that white potatoes are actually a healthy carbohydrate as long as you eat them in the right form… with the entire skin, and please don’t ruin them by deep frying them into french fries either! French fries are one of the most evil things ever invented for your health, but only because we ruin them by soaking them in a scorching bath of trans fats in the deep fryer from the hydrogenated oils that are typically used. On the topic of potatoes not being so bad after all, I don’t remember where I saw this referenced, but I recently saw a particular study that had participants eat something like 7-9 whole potatoes per day for several weeks. I hope you’ve enjoyed this little topic today about potatoes, healthy carbohydrates, glycemic index, and my killer potato recipe idea! If you enjoyed this article today, feel free to copy/paste this link and email to your friends and family that would be interested. Visit Get Rid of Belly Fat without Abdominal Exercises home page for more information on diet and weight loss. Wow, great information. I’ve learned a lot from your post. Thanks for sharing and for stopping by. That recipe sounds delicious! I bet it is really pretty, too, with all those colors! French fries are so GOOD though! You made some really great points here. I know someone who makes cauliflower mashed potatoes! Isn’t this guy brilliant? You should check out his book. Click on the links within his article for more information. Very good points, which only goes to show that we shouldn’t stereotype or generalize about foods and nutrition. No one can argue that cauliflower and garlic aren’t white or tremendously healthy for you. This is a great post. Near and dear to my heart.. Thanks for sharing this informative post about some food items. You make very good points…this “no white food” thing just sounds like another fad to me!